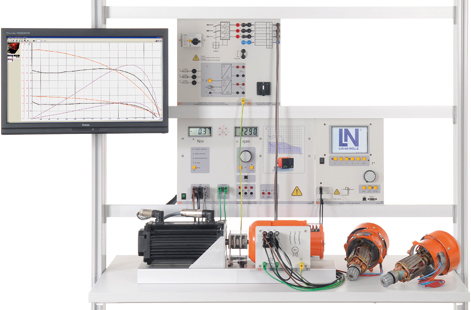 This training system consists of a standard stator for all machine types and a set of interchangeable rotors. Thanks to its dismountable design, the set is particularly suitable for teaching the basics since it delves into the various machine construction designs and their differences. Unlike conventional cut-out models, these machines are fully operational and can be coupled to the machine test system.